The decomposition of experimental data into dynamic modes using a data-based algorithm is applied to Schlieren snapshots of a helium jet and to time-resolved PIV-measurements of an unforced and harmonically forced jet. The algorithm relies on the reconstruction of a low-dimensional inter-snapshot map from the available flow field data. The spectral decomposition of this map results in an eigenvalue and eigenvector representation (referred to as dynamic modes) of the underlying fluid behavior contained in the processed flow fields. 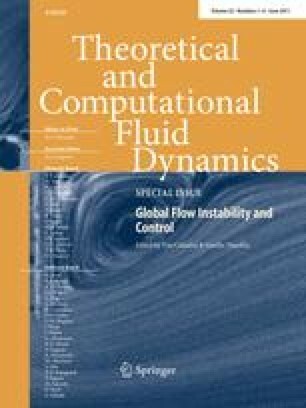 This dynamic mode decomposition allows the breakdown of a fluid process into dynamically revelant and coherent structures and thus aids in the characterization and quantification of physical mechanisms in fluid flow.